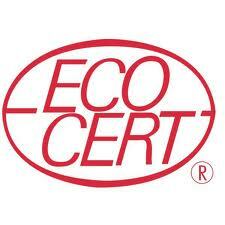 Ecocert is a French organization of certification recognized by government which offers the ecological and organic cosmetics certification since the end of 2002. Ecocert defined an Ecocert convention regarding ecological and organic products, which necessitates a higher level of requirements than conventional regulation of cosmetics and guarantees a real practice of respect for the environment. Every products from The Jute Shop are certifiedEcocert for organic cotton. Almost organic composition : All certified products contain at least 95% natural ingredients and processed using methods approved byEcocert (environmentally friendly), the remaining 5% should be part of a short list (of which five conservatives allowed and this in order to comply with the regulation of consumer safety). Note that this is one of the most restrictive requirements for those who need to review their way to formulate their request for the label (even for those who claim themselves as pioneers of organic production). No synthetic components : The synthetic fragrance, synthetic dyes, silicones, glycols etc. are prohibited. Only a few essential synthetic ingredients and not available yet in natural are allowed. Already more than 100 green spaces have been audited in several major cities including Paris, Lille, Villeurbanne.